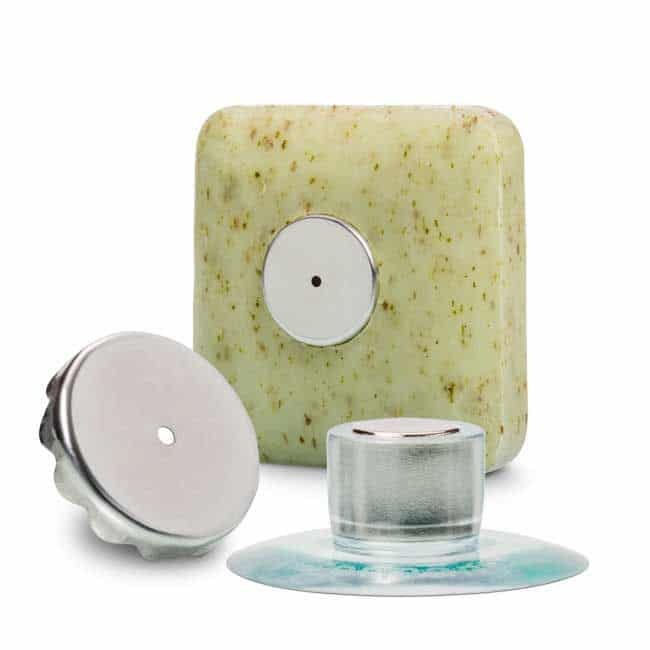 The Savont Soap Holder complete with suction cup and magnetic plates. Made in Germany. 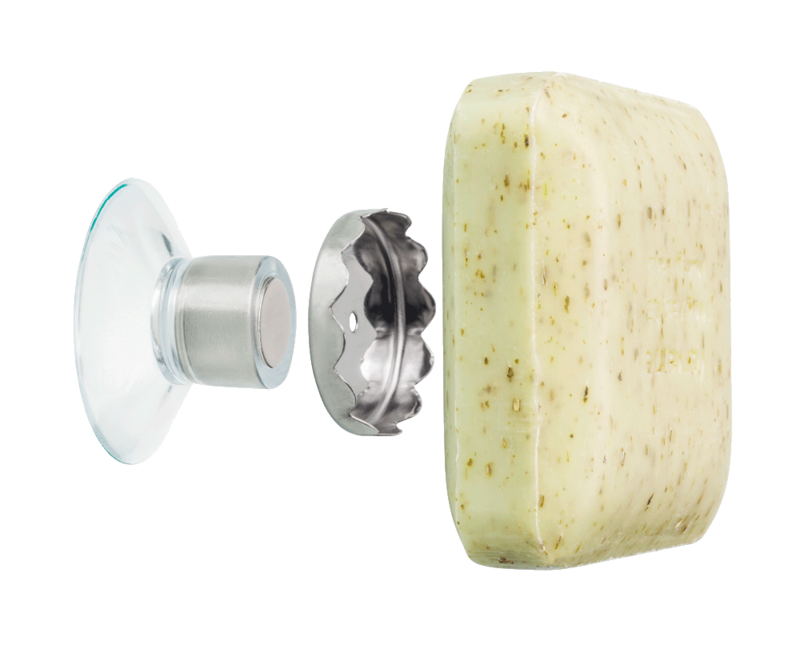 Uses high-performance suction cup with strong magnet for firm hold. 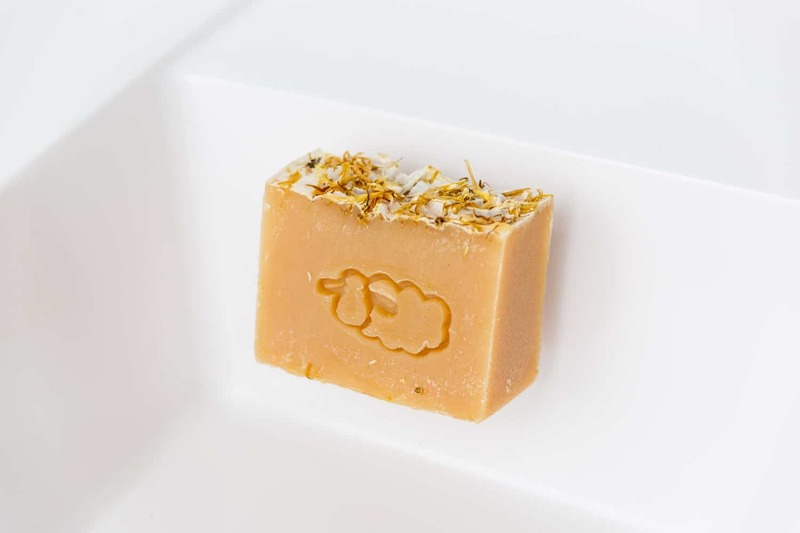 The storage of solid soap is always a problem: if the soap is in a soap dish, it softens. 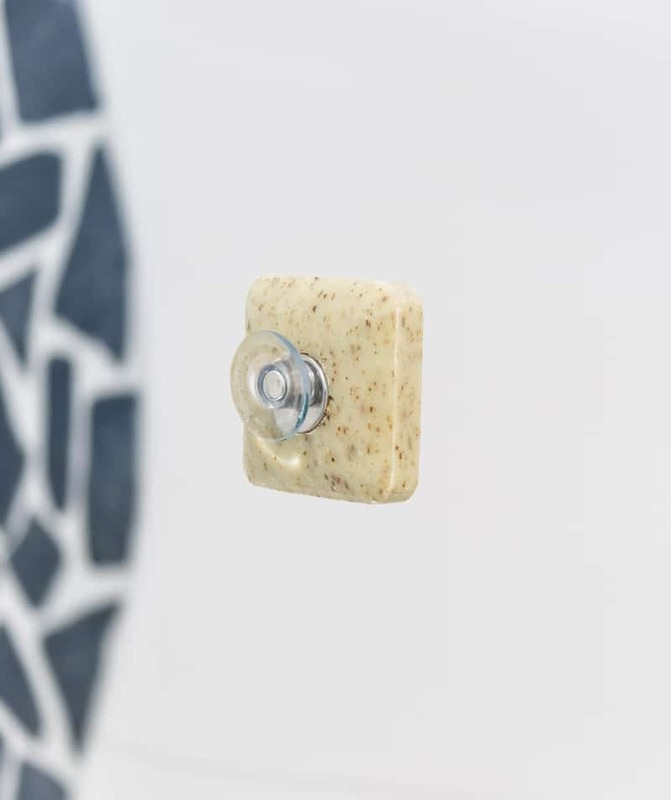 If you want to attach it to a soap holder with a magnet, you have to drill or glue, unless you have a soap holder with a suction cup. 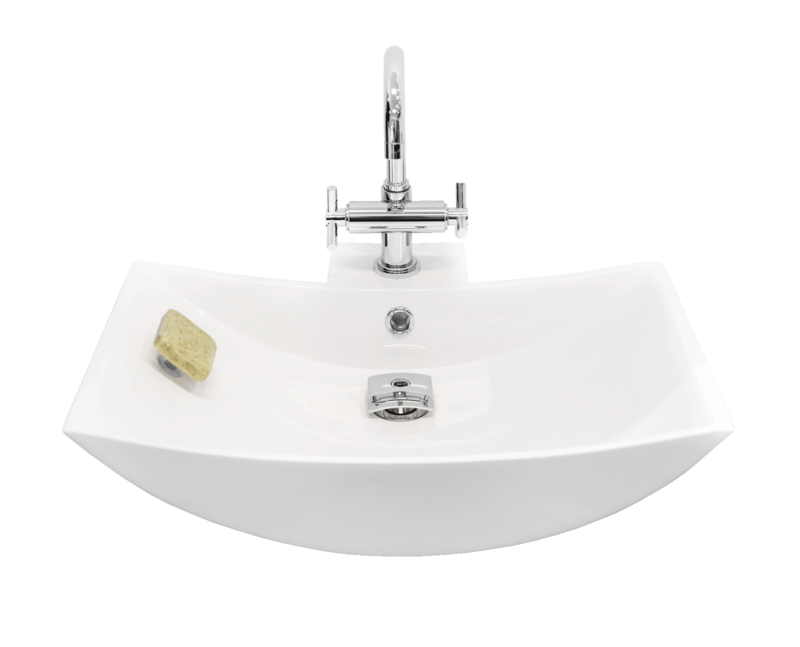 SAVONT is the first soap holder that allows you to store solid soaps directly inside the sink. 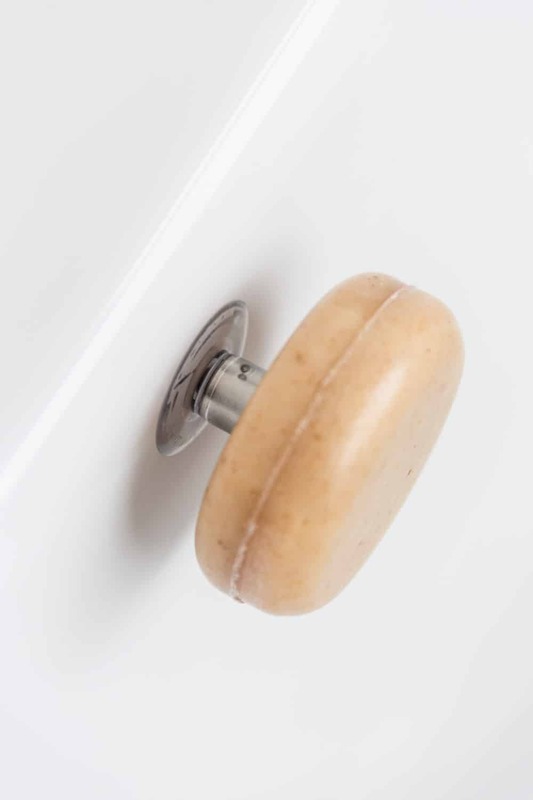 It attaches with a suction cup without drilling or gluing. 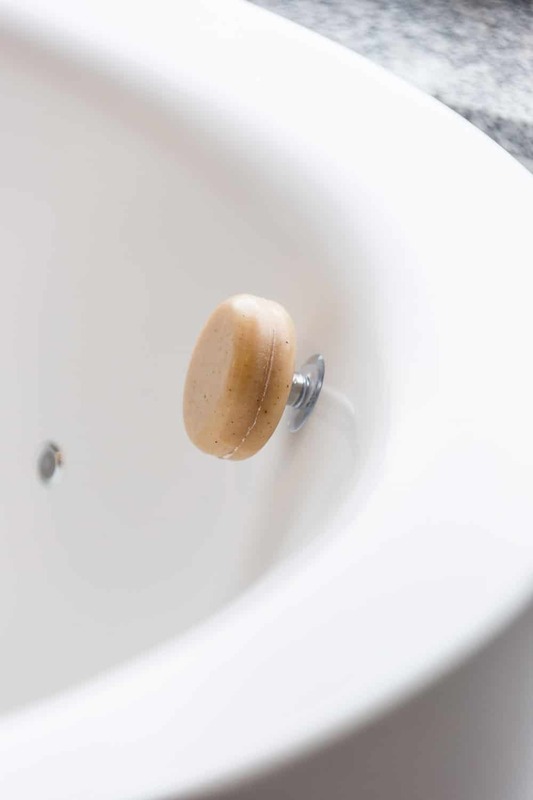 The soap is suspended by a magnet and dries completely inside the washbasin. Soapsuds flow directly into the sink. 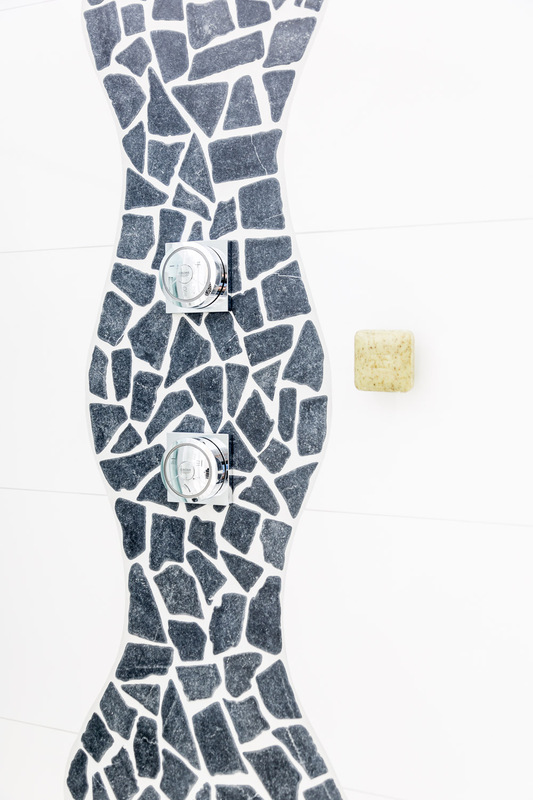 Use the same method to attach the soap holder in the shower or bathtub. 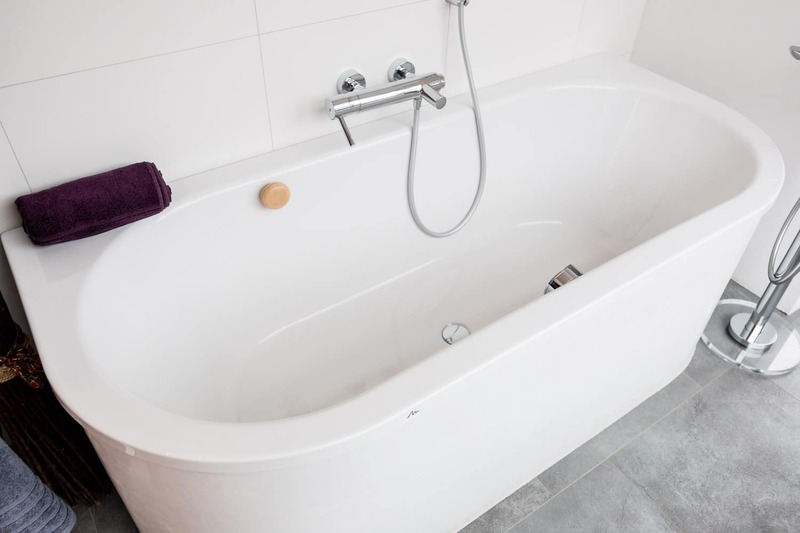 Conventional soap dishes have the disadvantages that the soap softens on the bottom, and dirt accumulates on the soap’s surface. Even drain holes offer no remedy here. 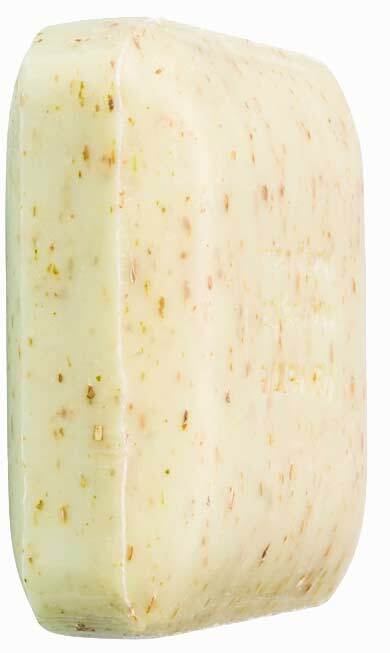 SAVONT has the advantage that the soap doesn’t rest on anything, thus avoiding softening or soiling. 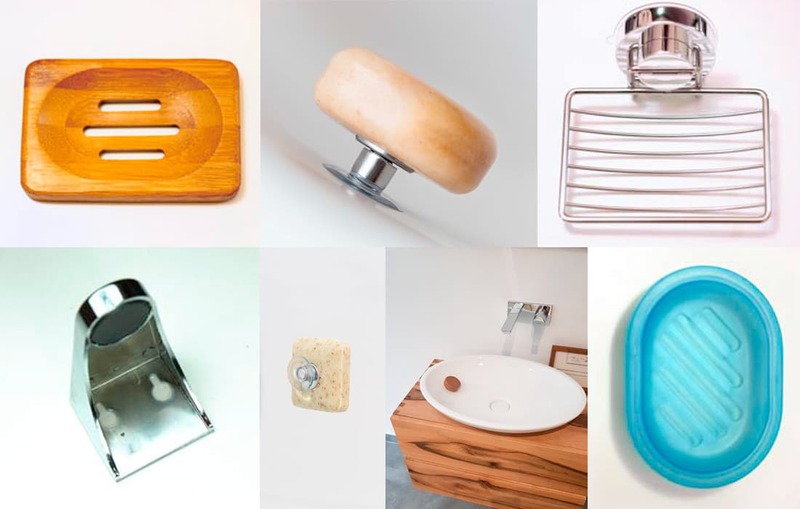 The soap holder can be affixed directly to the sink, bath or shower on any smooth surface without gluing or drilling. 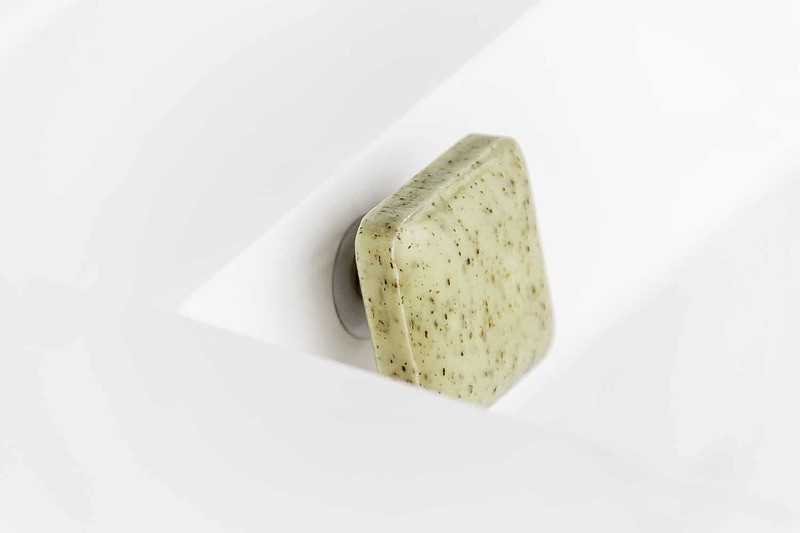 Your soap can dry completely because it doesn’t rest on anything. Your sink stays clean. No traces of water or soap outside the sink. 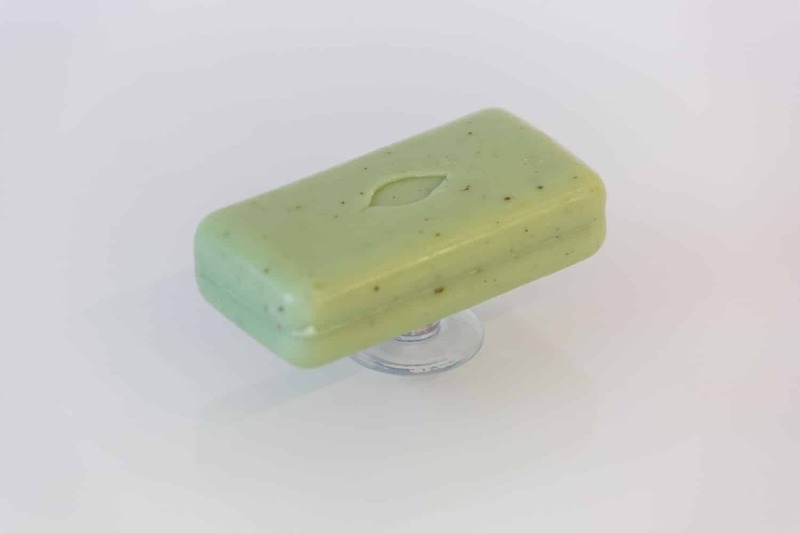 Solid soap is far more economical and cheaper than liquid soap. 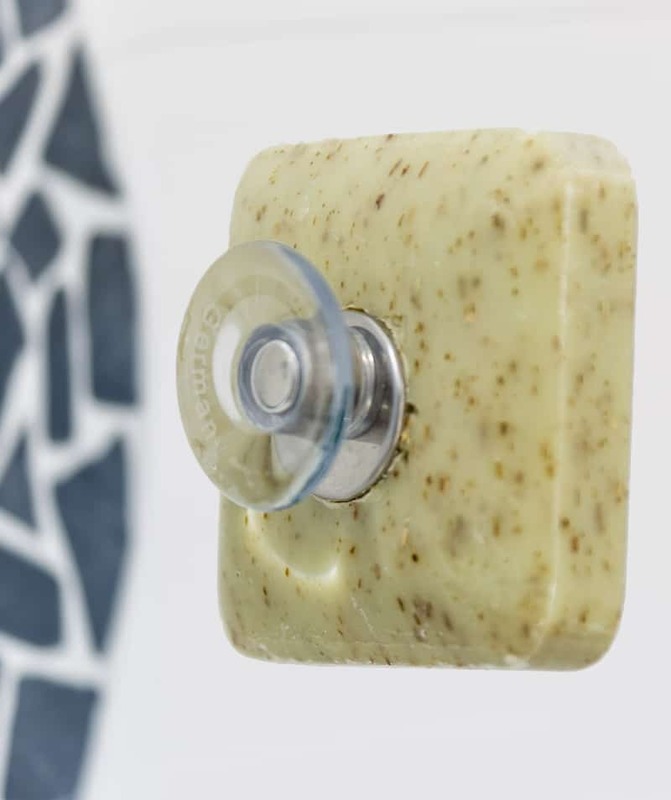 The Savont Soap Holder can be moved and attached elsewhere again and again. 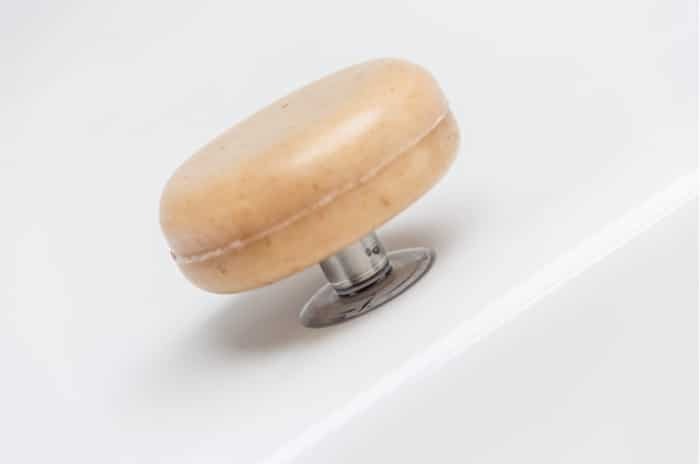 No drilling of unwanted holes necessary. 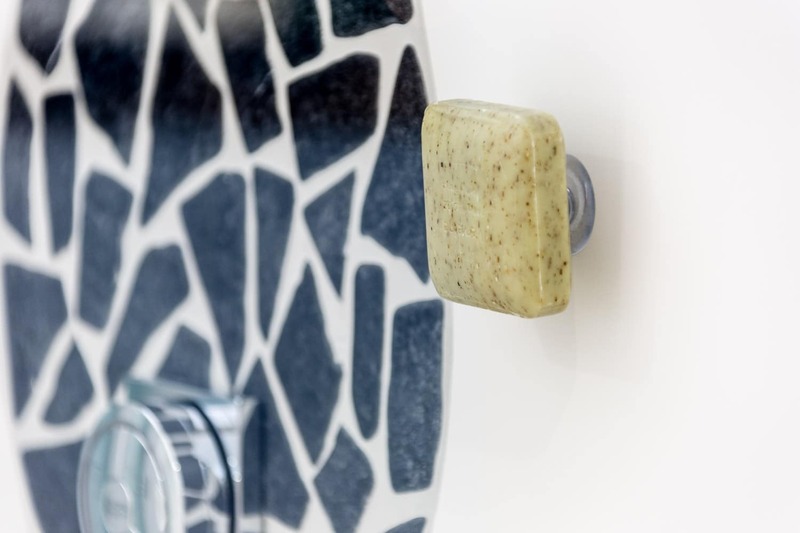 The soap holder can be attached to any smooth surface. 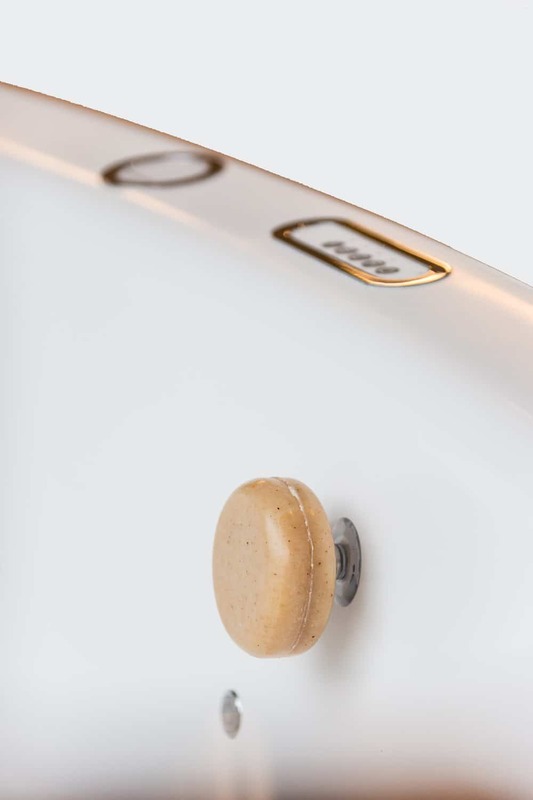 Attach without gluing using a suction cup. 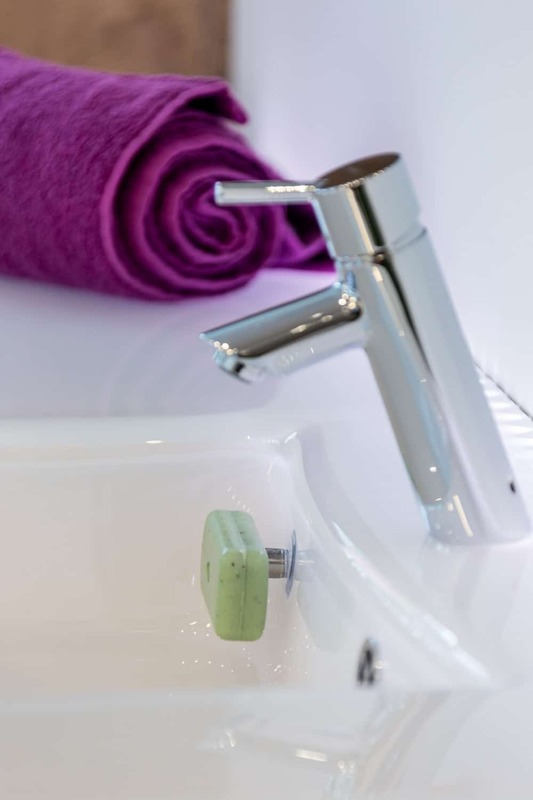 The Savont Soap Holder can be mounted directly in the sink, shower or bath.